Toyota has joined Ford and GM in closing its plant in the country. That’s a delayed reaction to the decade-long loss of manufacturing competitiveness. But the big risk to the economy is not Australians making fewer things. It’s that they will be buying less than before. 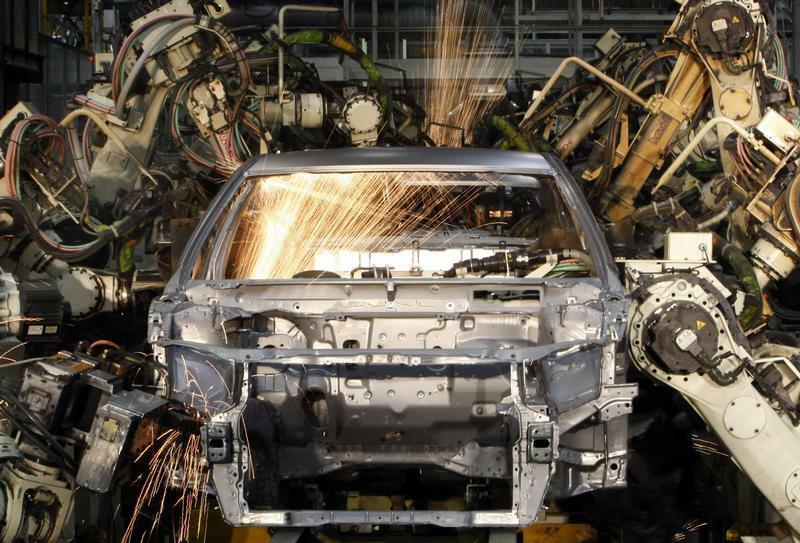 Robots weld the bodyshell of a Toyota Camry Hybrid car on the assembly line at the Toyota plant in Melbourne August 31, 2009. Toyota Motor Corp said on Feb. 10 it would stop making cars and engines in Australia by the end of 2017, affecting about 2,500 jobs. The decision, which will end the Japanese company’s half-century-long association with Australia, follows the planned exits of General Motors and Ford Motor announced last year.